Having done most of my domestic flying with Southwest, I admitting have not had much experience with JetBlue. Just by chance, I purchased tickets from family who received JetBlue Service Credit from a bad experiences (8+ hour delay). So despite all the bad experiences I’ve associated with JetBlue, I’ve always known JetBlue as the airline that offered free DirecTV on their flights. Though free live TV was a tempting service, it wasn’t enough to convince me to consider JetBlue. Southwest was almost always a cheaper ticket. But in this case, who can say no to free tickets. Because the Service Credit cannot be transferred, to theoretically merge credit from multiple people to purchase, I had to log into their accounts and book the flight under my name. Thankfully this worked, otherwise the Service Credit was would have expired. It expires in 12 months. For one, it was a disappointment that the JetBlue Service Credit could only be applied towards the base fare. Because I had extra credit, I wanted to apply it towards “Even More” seats that offer more legroom. After all, credit should just be credit, especially if there’s an expiration date. Board the plane was like anything else. Since I was travelling light on this trip, I opted to carry-on only a backpack. 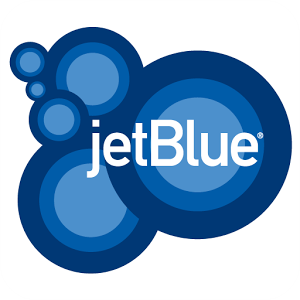 I checked in online without any problems and even downloaded the JetBlue Android App. The android app is very basic, only showing your future and past flights. You can change seats and/or view board passes. I had no issues boarding the plane with my phone, but the Android App UI is oddly designed, requiring 3-4 clicks and internet access to get to the boarding pass. I was a bit concerned that I wouldn’t have internet reception either at TSA or the gate. There were no problems! In-Flight, due to my luck, the entertainment system that controls all the screens was non-operational. The flight attendants had mentioned that service credit would be offered (how ironic I’m getting more credit). But this made the 4+ hour flight a bit more painful. I was looking forward to trying out the free DirecTV too. At this point, I was satisfied and will now consider purchasing JetBlue airfare in the future. Doing some research, I found that many other airlines are also offering wifi, but none of the big airlines offer the service for free! Many offer Gogo, but that’s a paid service. According to this Gizmodo article from 2015, JetBlue has the best wifi of the major airlines. Remember that the In-Flight Entertainment system that was broken, the flight attendants never mentioned how to obtain the credit. I ended up sending an email to customer service to enquire and they responded. Within a couple of days, the customer service rep with JetBlue responded that the $15 would be credited to my account. That's some great customer service!